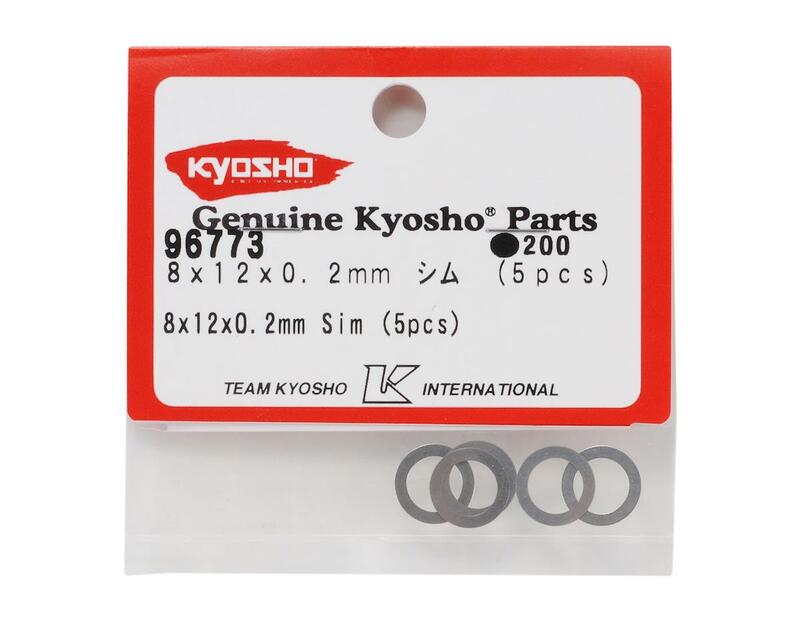 This is a pack of five Kyosho 8x12x0.2mm shims, used to adjust the end play on the hubs and driveshafts on the Kyosho MP9 and Inferno GT. 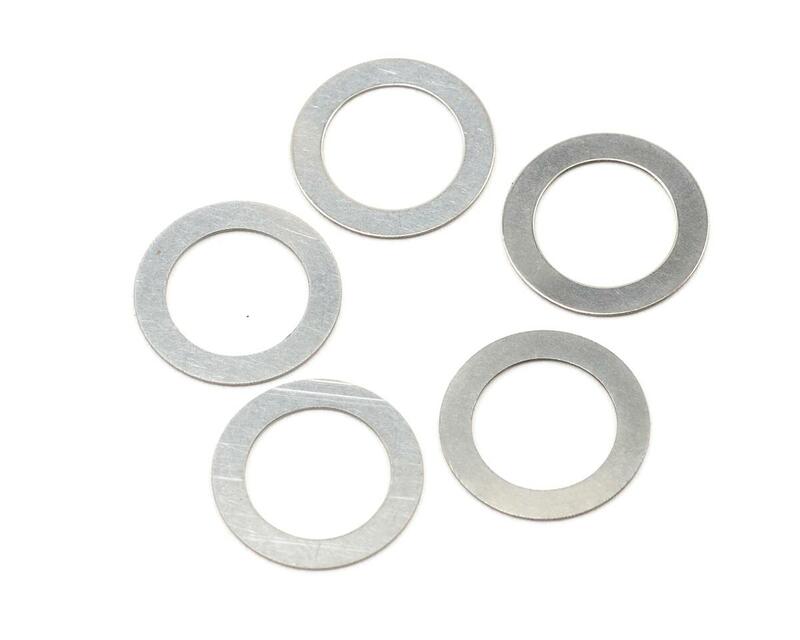 You want to shim these parts so there is a slight amount of play, but be careful not to get them too tight, as it will cause pre mature bearing wear. must get this if you get the rtr mp9 to eliminate all the slop/play in the tires. need 2 shims in each of the rear tires and have to get another pack for the 1 more shim that i need.